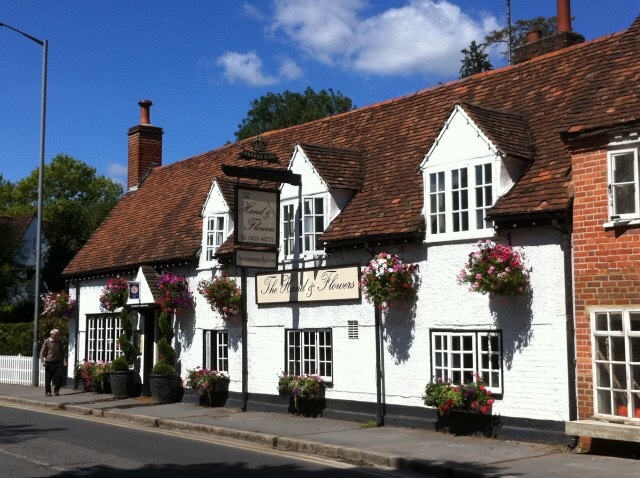 The Hand & Flowers pub, the only UK pub to be awarded two stars in the Michelin guide. 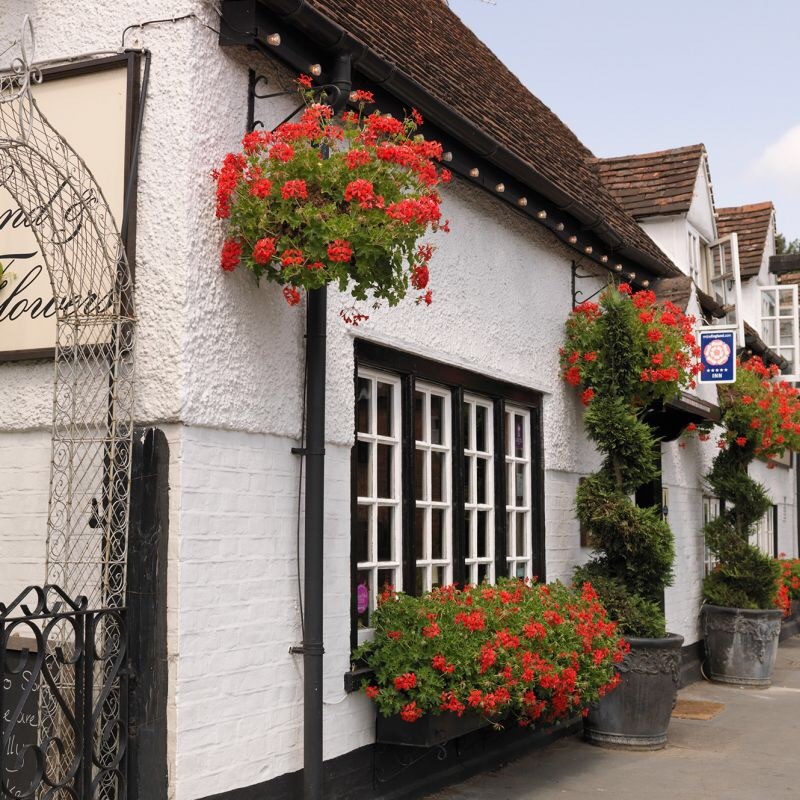 Located in the beautiful Georgian town of Marlow, serving award winning food in warm and welcoming surroundings. The Hand and Flowers was opened in March 2005 by Tom and Beth Kerridge. The original idea was to open a business where both Tom and Beth would like to go to on their days off. A casual and informal space but with no compromise on quality of food. A place where everybody should feel comfortable. 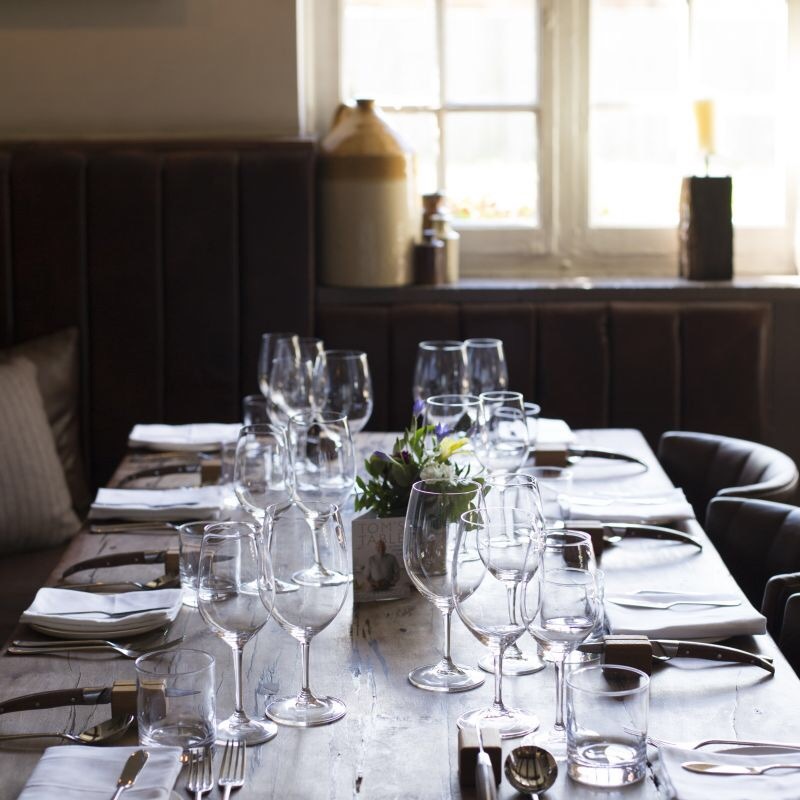 The food style is strong and bold, with an emphasis on simplicity and service being professional but approachable. 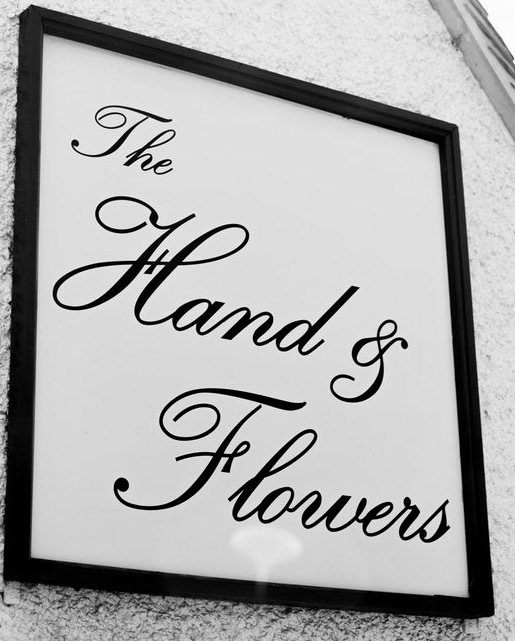 Since opening, The Hand and Flowers has gained huge support and loyal followers as well as industry acclaim, whilst still being an accessible and relaxed environment. 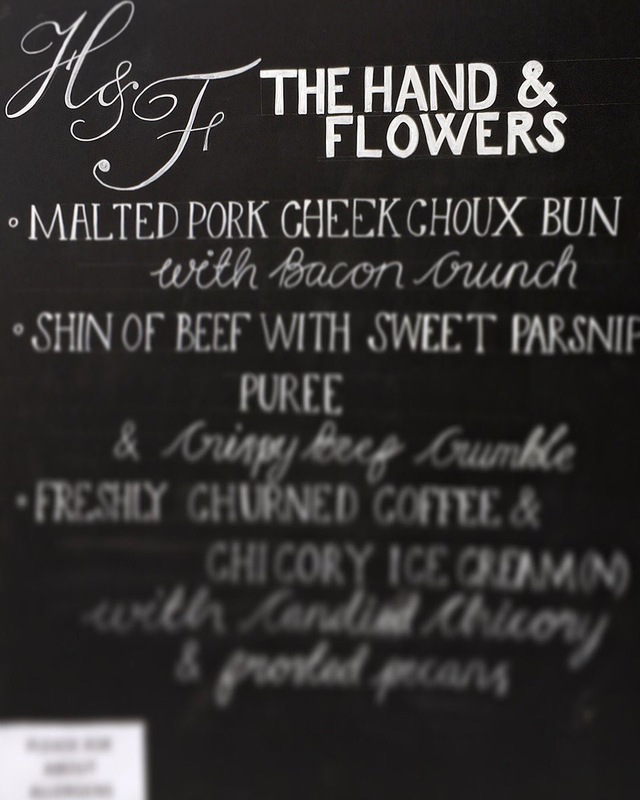 In 2011, The Hand and Flowers became the first pub to receive two stars in The Michelin Guidea and also the proud holder of four AA rosettes. 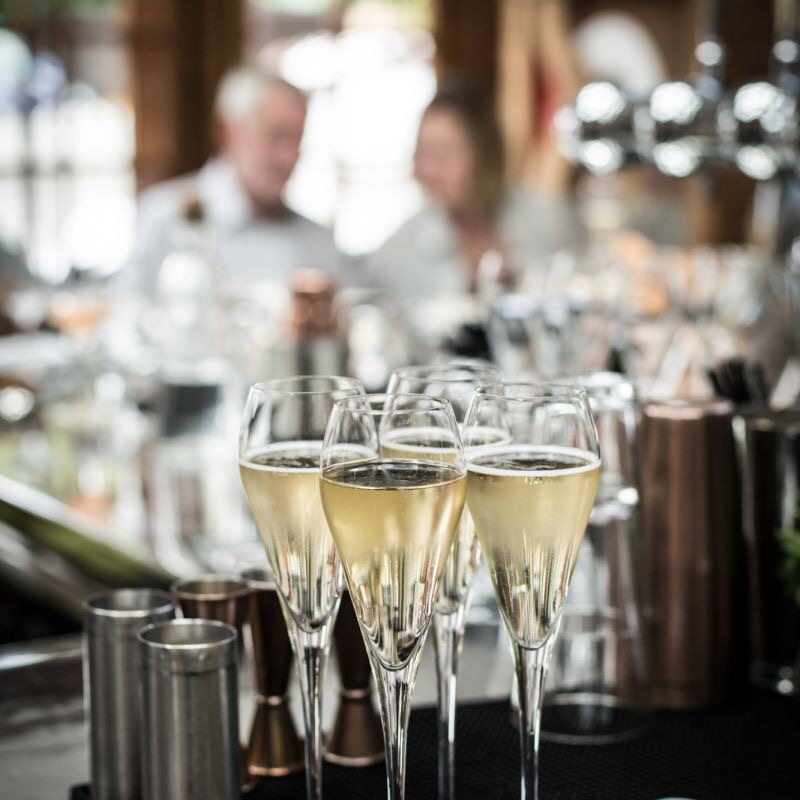 Originally from the West Country, his early career started in country house hotels and restaurants in Gloucestershire. He moved to London in his early twenties, where he worked with well-known chefs such as Phillip Britton, Steven Bull and Gary Rhodes. 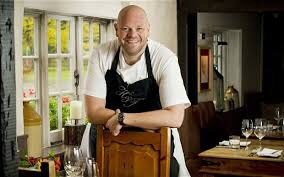 Leaving London, he moved to Norwich where he was Head Chef at the one Michelin starred Adlards. In 2013, Tom published his first book, Proper Pub Food, with a BBC television series. In 2014, Best Ever Dishes, was released with a second BBC series. 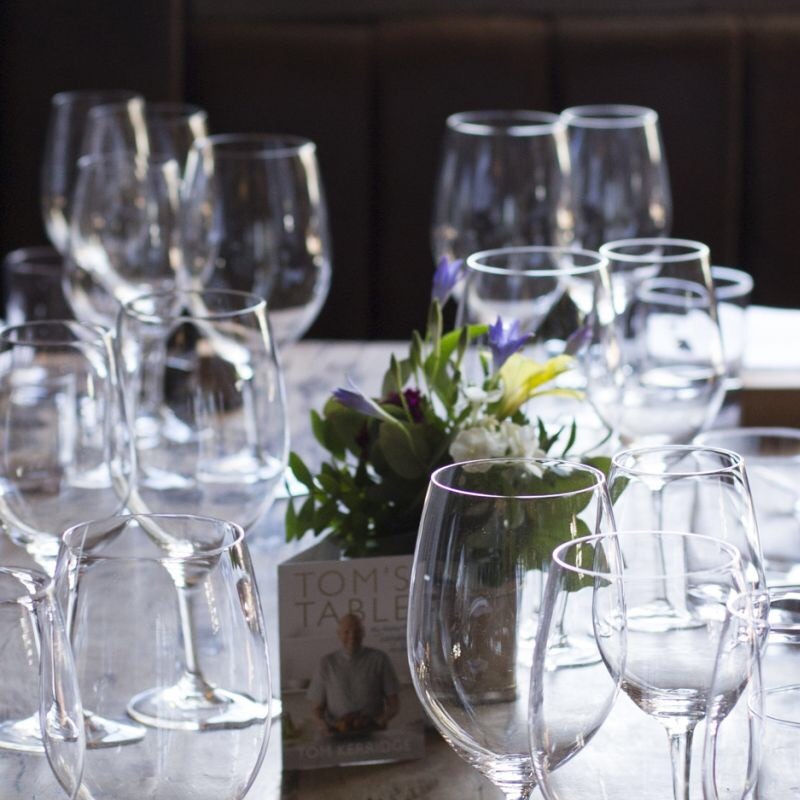 Tom’s third book, Tom’s Table, was released in 2015. A fourth book, The Dopamine Diet is due out January 2017.